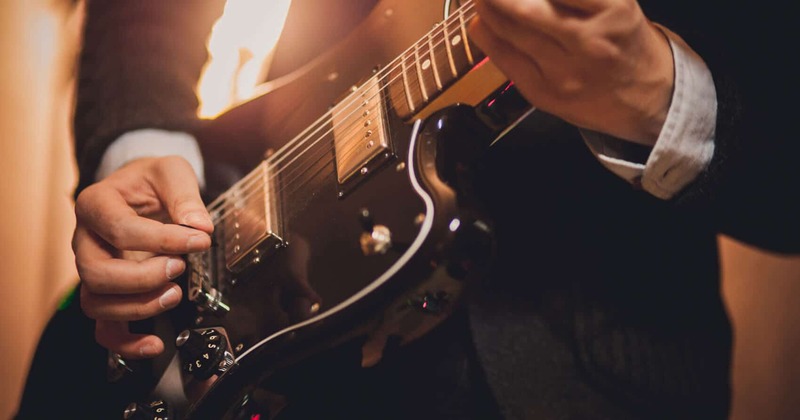 If you like listening to blues, if you like the style of BB King, Eric Clapton, Stevie Ray Vaughan and others, you'll be happy to hear that learning to play blues guitar is one of the easiest specialized genres to grasp hold of quickly. Once you reach an intermediate level of expertise, you'll be able to play the blues without any problems after taking some blues guitar lessons. Are you surprised? Most people are! The fact is that blues is truly one of the easiest of genres to master on the guitar. You don't need to play it super fast, the techniques are not overly complicated, and you don't need to have a PhD in music theory. So what makes it great? The thing that makes the blues one of the most liked genres is the style! You digin' me baby? Blues players are just plain cool and fun to watch. They get totally tangled up in their music, each note giving them jitters, which they express very physically as well. Know how to form chords and be able to switch easily between them. Be able to play barre and power chords. Be familiar with solo guitar techniques: hammer on, pull off, string bending, string sliding, vibrato. Have basic knowledge of scales and fret intervals. Listen to blues players at their best. If you don't really know where to start, check out this list of the best blues albums and download a couple of tracks. The 5 pentatonic scale positions and the blues note. The theory behind the 12 bar blues. Refine your lead guitar skills, especially the vibrato, string sliding and bending. To speed things up, consider signing up for a specialized blues guitar course. Here are the ones I learned a lot from. You need to feel the notes, and become one with the guitar to be able to truly express yourself with the blues. this best verry best music!